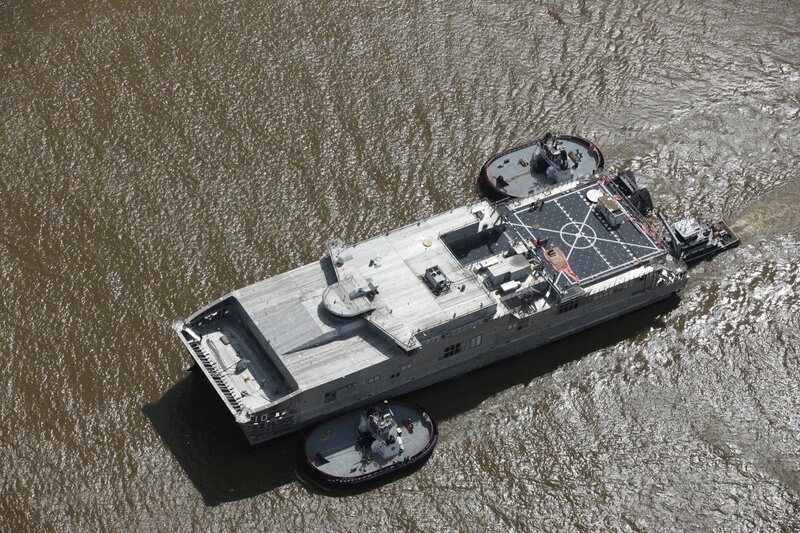 Austal has announced that the future USNS Burlingon, Expeditionary Fast Transport (EPF 10) successfully completed acceptance trials in the Gulf of Mexico. The trial, which involved the execution of comprehensive tests of the ship’s major systems and equipment by the Austal – led industry team, was the last major milestone required for the vessel to be delivered and commissioned into service with the US Navy. “Austal USA is operating with a remarkable level of success and efficiency across both the EPF and LCS Programs. EPF 10’s successful acceptance trial follows that of LCS 18 a week ago,” said Austal CEO, David Singleton. Designed for rapid intra-theater transportation of troops and cargo, the EPF is a 103 metre high-speed, shallow draft catamaran, capable of reaching rapid speeds of 35-45+ knots. The EPF is well suited for rapid transit and deployment of conventional and special-forces with their equipment and supplies, making it an ideal platform for utilisation in emergency humanitarian disaster relief. EPF 10, Burlington is scheduled for delivery to the US Navy later this year, with EPF 11 and 12 both in various stages of production.